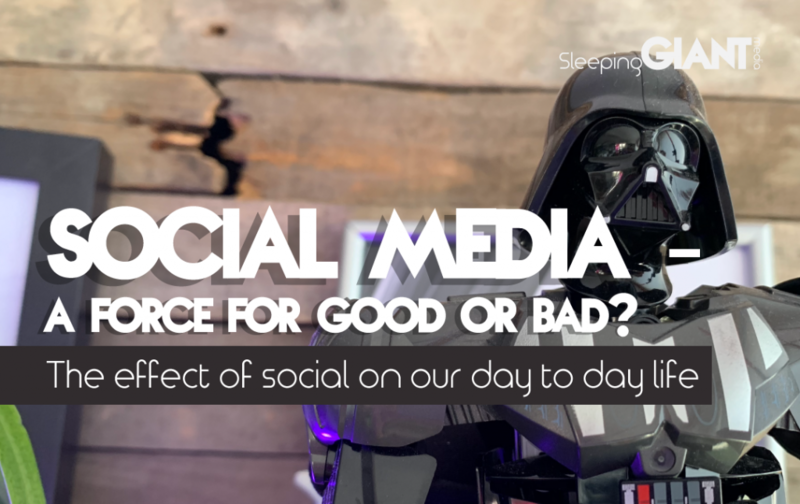 Social Media – A force for good or bad? What has social media done? I mean, what hasn’t social media done? Home > Blog > Social Media – A force for good or bad? We’re getting to the point now, over twenty years later, where you can probably attribute most things to social media. “No, because Bob met Sandra after their friends introduced them, not through social media!”, ok but I think you’ll find those friends met on Facebook many years ago… “Ok, well, Amber’s choice in degree wasn’t due to social media, it was down to passion.” no, sorry, she saw an ad that promoted a university comparison site and here we are, one 2:1 and £40k in-debt later. Social media is responsible for most things today. From political movements to the way you’ve named your cat, it’s influenced you in some way – sometimes without you even knowing. Just over twenty years ago the first recognised social media platform came to be. This was called Six Degrees and don’t worry, we haven’t heard of it either. From that very moment, the definition of an introverted lifestyle changed and our futures suddenly became reliant on digital. Whether it’s been a good thing or not is subjective and not a subject I’m looking to explore right now because the conflicting opinions are a constant stream of back and forth. Rather, it’s interesting to point out how we, the user, evolved social media and how it’s now progressed into social media evolving us. Social media has learnt from us, we have learnt from it – using the past to better our future performance. With every disaster comes a torrent of statuses and a whole host of social media evolution. Over the last twenty years, this has evolved into a whole new form of citizen-journalism, meaning we now rely on social media and the updates of others to stay informed with what’s going on during natural disasters, terror attacks etc. In 2009, Twitter transformed into a news source with just one tweet from a user. Janis Krums tweeted a picture of the Hudson River Water Landing to his 170 followers and was the first person to report on the event. It doesn’t sound very revolutionary when you think of Twitter as it is today, but that single Tweet was described as one that “changed everything” by the co-founder of Twitter – the platform evolved that day into what we know it to be now, a source for news. Other social media platforms have had similar evolutions after reacting to the way its users use them. Facebook, for example, has a crisis response feature, allowing you to mark yourself as safe during any form of disaster or event, keep people updated with what’s going on etc. Understanding that a large proportion of the world’s population is on Facebook and use the platform to keep their friends and family up-to-date on their wellbeing, this seemed like a no-brainer. And then there are the political and psychosocial issues. Politicians and political parties soon realised that the demographics that engaged least with politics, was actually the demographic engaging most online. Understanding the motivations and behaviour of a social media audience is key to its success. Without understanding this you are simply shouting into the abyss. This is something we talk to a lot of businesses about. That being said, knowing how to reach a certain audience is great, but you can’t just concentrate on one and ignore the others. Political outreach has always typically been through traditional media, but with the constant fast-paced evolution of social media and the devices we now have in our hands 24/7, it would seem there was a new digital market to break into. Recent elections, be that in the UK or the US, have used social media to their advantage. Not only to target younger demographics but to keep the average Joe up to date with what’s happening. Whether this is for right or wrong, we can all agree that ignoring social media and treating it as ‘just’ for the kids will catch you out (just ask Theresa May!). Another bone of contention is Donald J Trump’s favourite word. ‘Fake news’. Some see social media as the source of this, but like most things online it comes down to the scruples of those in the chair operating the computer itself. Fake news has always been a thing, just under many different guises. It wasn’t caused by social media, but social media allowed for an easier spread of the misinformation. The freedom of speech was great, but the detrimental effects of spreading fake news are not. In a bid to tackle the poor ways in which users/bots/hackers use social media, social platforms have had to evolve their algorithms and features in order to label and inform on specific content as its distributed. Human nature and evolution is the root of all social media. Our desire to share, be seen and generally ‘be social’ was the main driver for the existence of social media. But it would seem that now, social media is the main driver for the existence of many aspects of our everyday lives. So really I think we should be penning the last twenty years as an actual ‘social revolution’, right? Social media could be responsible for young people not playing in the sunshine, becoming socially reclusive or even lacking in human relationships. Or it may be the case that those same young people actually have more relationship and understanding of differences across different humans. As a society, we are more accepting of differences and more welcoming to the ideas of others. We have seen a huge development in equal rights based on gender, sexuality and race. The #metoo movement gave millions of women a voice and a platform to unite. Is the world a better place for social media? We will let you be the judge of that. Over the years, you will have evolved your approach to digital and social media for your business based on what has and hasn’t worked – that’s just good practice! But you’ll never be done learning and neither will those around you. 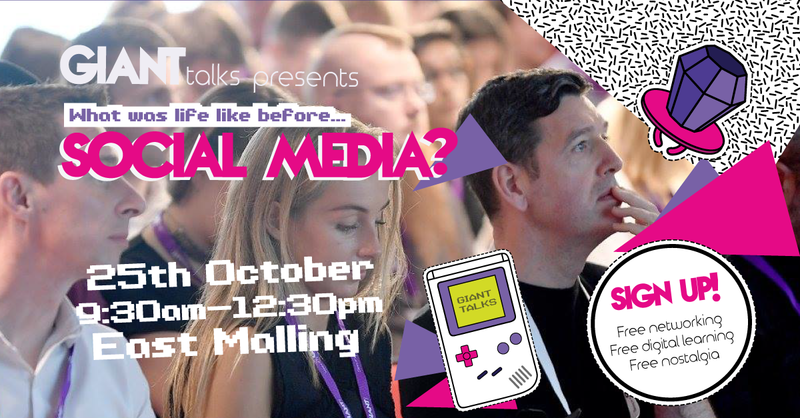 Join us on the 25th October at The Orchard Events Venue to hear how you can use social media past to improve your social media future. It’ll be a nostalgic timebomb as we hop back in time to see what we can learn – it’s going to be great. Book your free place by clicking me!